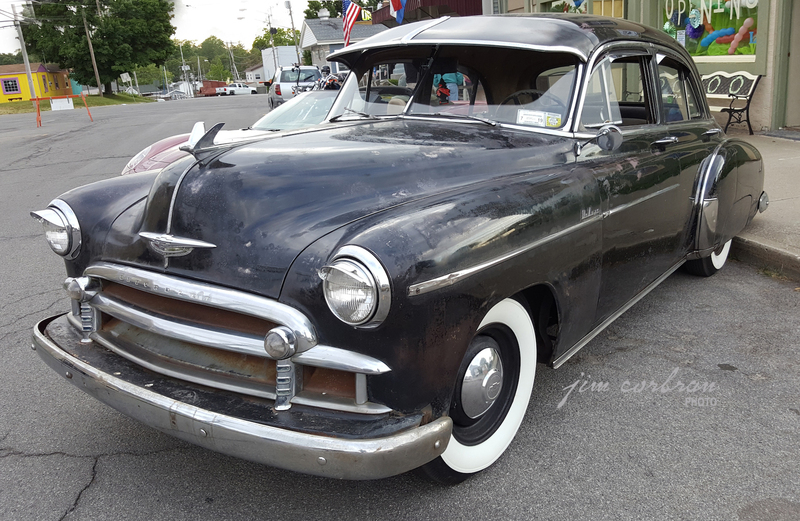 It’s great to see old cars like this 1950 Chevrolet Deluxe still on the road looking to be in pretty much original condition. Although there’s nothing wrong with a restored classic, there’s something special about a car which has been allowed to show its age. This one may have a few warts, but I imagine any of you reading this who were around in 1950 have a few warts yourselves, Lol… Saw this example a couple of weeks ago at one of the weekly Saturday evening cruise-ins at Olcott Beach.